Gorgeous mornings - do you even realize what the world is like at 6:00am? I do, and it's heavenly. Bare feet - my neighbor has repeatedly told me I need to put shoes on my kids, but does he not notice that I am also shoeless? If I had his yard full of ouchy weeds, then I might consider shoes, but I don't, so I won't. Quick go time - take away the abundance of winter accessories (coat, socks, boots, hats, mittens, etc. ), and we can be out the door pretty darn fast. It's so nice to be able to say, "Let's go! ", and the only thing we have to grab are pairs of flip-flops (yes, I do require some form of footwear out in public). Light nights (not be confused with nightlights) - I'll admit it is more difficult to get my kids in bed by a decent hour, but man, it's nice to be able to stay outside until 9:00 and enjoy playing and working and making friends. Barbeques, swimming, bike rides, parks, outdoor concerts, camping - do I need to go on? It's so easy (and cheap) to have fun in the summer. Honestly, the heat doesn't concern me because (unlike winter) there are still pleasant periods every day where it is enjoyable to be outside. And for those stifling hours where all you want to do is stay parked in front of the AC? Well, that's what this book list is for. Enjoy! Every time I open this book, I think, Oh, Summer, how nice that you've arrived. The colorful illustrations, depicting a carefree little girl who spends all day outside, make me think of my own childhood that, in many ways, was just as idyllic. The story begins with Lucy who sees a butterfly and plays with it all morning. The next day, she can't find her butterfly friend so goes in search of it. 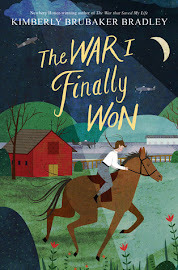 She finds a worm and a spider and ladybugs, among other creatures, but it isn't until the very end that all her hard work pays off. This book is geared toward a young audience, which makes it perfect for my family. It has limited and simple text. It also includes little cut-outs on several of the pages and a beautiful pop-up butterfly at the end (which was thankfully still intact when we borrowed it from the library...hope it's still that way when we return it). The illustrations are also simple with broad, crayon-like strokes and minimal detail. The colors are bold and vibrant: deep blues, happy yellows, flamboyant reds. It feels like summer because it seems to be bursting with life and energy. Bradley (who is now a couple months shy of being two) loves this book. He loves pointing at the various pictures and saying, "'Sap [what's that]?" It can get a little tedious actually. Many times, it takes a full three minutes to even make it past the page that's directly inside the cover because he won't let you turn it until you've identified everything on it. So don't be fooled by it's short length. Bradley can drag it out a good ten minutes. There was a time in my life when I didn't love watermelon. In fact, as recently as two years ago, I would pass it up at most picnics in favor of other fruit. But no longer. I am fully converted. When people say, "But it's, like, all water," I say, "I know! Isn't it fabulous? It's like drinking a fruit!" Seriously, what other kind of food can quench your thirst? Plus, I love that we can buy one on Monday and still be eating it on Saturday. The crocodile in this story also loves watermelon. But one day, he gets a little overzealous in his chomping and slurping and fails to notice a big, black seed . . . until it is too late. He worries and worries about all of the terrible things that will happen to him with a watermelon growing inside him, but luckily, an epic burp saves him just in time. 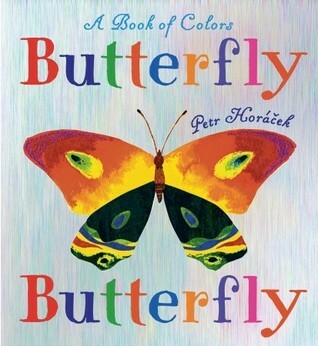 This book works for me for a number of reasons: First, as with Butterfly, Butterfly, the text is very simple. The crocodile narrates, and he proves to be a reptile of few words. Second, the color scheme is delightfully different--lime green, watermelon pink, white, and black. That's it. It sets the perfect mood for this fun and quirky book. And third, it takes a common fear of childhood ("What will happen if I swallow a watermelon seed?") and treats it a little bit seriously but mostly just comically. I think it's impossible not to laugh at the crocodile's predicament, both because you can relate but also because you see just how ridiculous it is to succumb to such far-fetched worries. Need I tell you again that Chris Van Dusen is one of our favorite authors/illustrators? We've read every single book he's published and have yet to find one we didn't love. We were originally introduced to Mr. Magee and his little dog, Dee, in Down to the Sea With Mr. Magee. 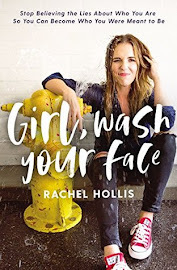 If you haven't read that one, read it first (it would be another great summertime choice), and then check out this one, which is all about their unexpected adventures while going camping. Their camping trip begins innocently enough: the drive up into the mountains is pleasant, their campsite has fantastic views, and the roasted hot dogs and marshmallows really hit the spot. But then, after bunking down for the night, an unwelcome visitor arrives. He's only after that bag of marshmallows (a good lesson in cleaning up your campsite), but in the process, he accidentally unhitches the camper, and away it rolls down the mountain and right to the edge of the . . . waterfall! The story is told in rhyme, and it's just the kind of poetry I love to read out loud; it isn't sophisticated, but you don't even have to think about how to read it. You just start, and within seconds, your mouth has fallen into the pattern, and it's like driving with the cruise control on. There are no unexpected bumps or jolts--a missed syllable here or an unnatural inflection there. It lilts and flows perfectly. As the embers went out, they felt tired and dozy, / So they climbed in their bunk beds, all comfy and cozy, / But while they were falling asleep without care, / Along came a stumbling, bumbling bear. It's actually kind of addictive: once I start reading the words, I just want to keep going and going and going. Try it. You'll see what I mean. The other thing I loved about this particular story is that it follows the same structure as Down to the Sea... It begins the same way (by stating the time and the plans for the day); everything is all sunshine and happy anticipation; then suddenly, in the middle of the story, Mr. Magee and Dee are confronted with a most unexpected problem which involves them being precariously stranded many feet up in the air; and finally, at the end of their story, they make the best of their day and find that sometimes it's just as fun to stay home. 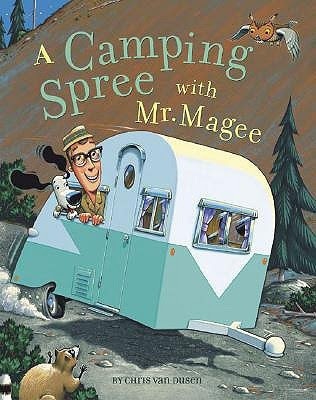 There is another Mr. Magee book (Learning to Ski With Mr. Magee), and it also follows the same outline. The familiarity is delightful and also ingenious. Most of the time, I love where we live, but every summer, a part of me yearns for the states farther east for one reason only: fireflies. My grandma lives in Nebraska, and every summer, we'd visit her and spend hours in the evening catching those magical bugs. They were slow enough you could just reach out and cup your hands around them. Their little tiny light was fixating, and when you put several in a jar, you created your own little lantern. My grandma also owned this book, which was definitely a favorite. Sam is an owl--a conscientious, intelligent, and kind owl (with high morals). His friend, Gus the firefly, is much more fun-loving, mischievous, and downright naughty. One evening, Gus gets into a heap of trouble by writing words in the sky with his light. It started out as just a fun game, but soon Gus is causing traffic accidents and angry customers. The man running the hot dog stand is quite put out and traps Gus in a jar and drives him into the country. Unfortunately, his truck gets stuck right on the railroad tracks just as a train is making it's way around the bend. Gus is the only one who can save him in time. This book was an instant hit with the boys. I pretty much love it when I don't even have to try to make them love books from my childhood. I just started reading, and they were hooked. They liked the first half because it was funny (unfortunately, they found Gus's antics quite hilarious). They liked the second half of the book because it was exciting: the train was coming, getting closer and closer, and Gus was trapped inside a jar. Those of you who grew up with fireflies, tell me, am I idolizing them too much? Erica @ What Do We Do All Day? recently posted a great list of summer books (our favorite new find was The Other Side by Jacqueline Woodson). What could be more summery than bugs? 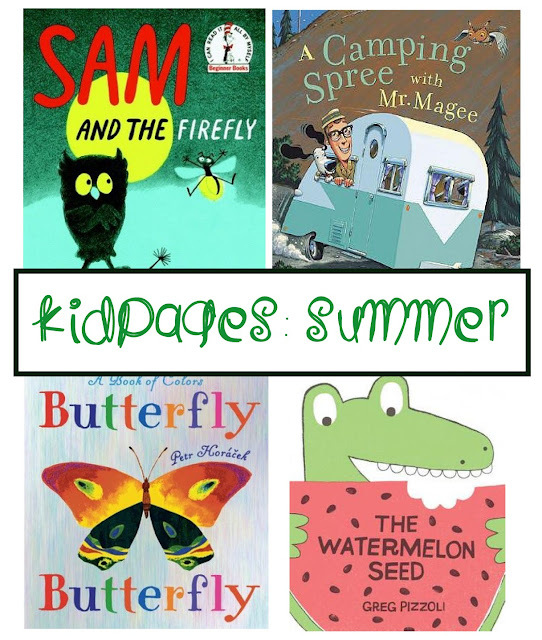 Check out our two lists of bug books here and here. P.S. I shared this post with the Kid's Co-op. Christian and I recently read "Toasting Marshmallows: Camping Poems" by Kristine O'Connell George. It's a book of poems all about summery, camping things. 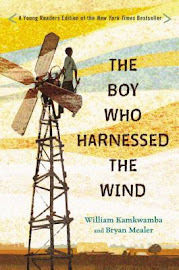 The illustrations are beautiful, and Christian and I really liked it. I don't know if your boys would like it or not, but Christian listened to me read every single poem in one setting. At any rate, I think you'd really enjoy it. Are you kidding me?!?! Well, maybe there's room to hope! Thanks for the link! How cute is Camping Spree! Thanks for the mention. 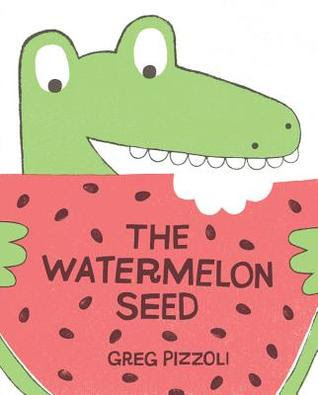 :) My 4 year old became obsessed with the idea of a watermelon seed in his tummy after reading The Watermelon Seed. 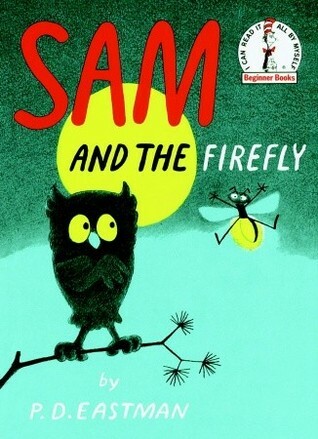 I haven't read Sam and the Firefly or Butterfly, Butterfly - both of those are completely new to me - thank you!